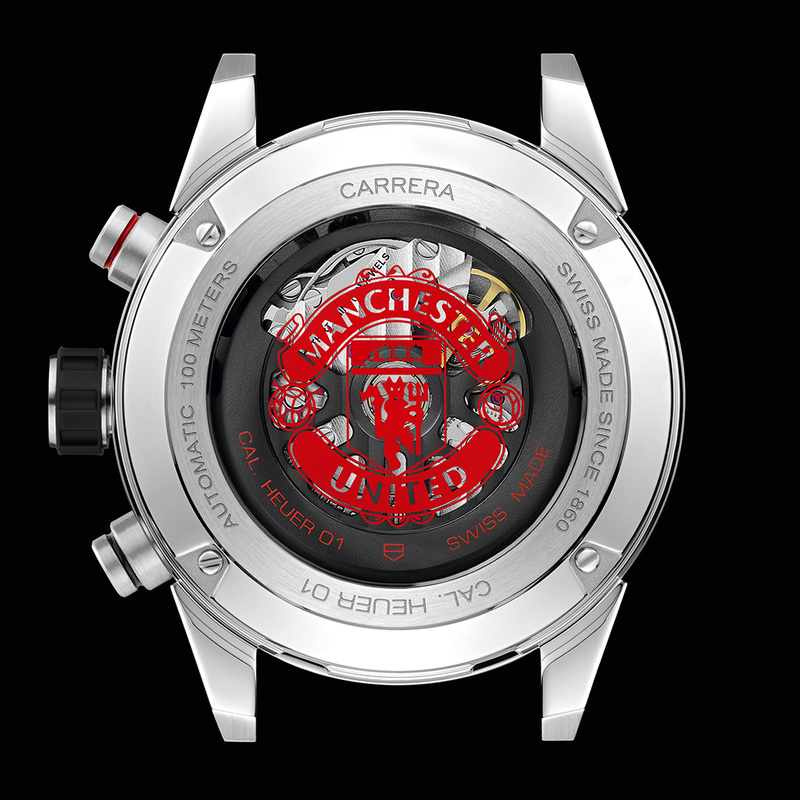 TAG Heuer announces two new watches targeted at English football club Manchester United’s tour of the United States this summer. The new watches are the TAG Heuer Carrera Heuer 01 and a TAG Heuer Formula 1. 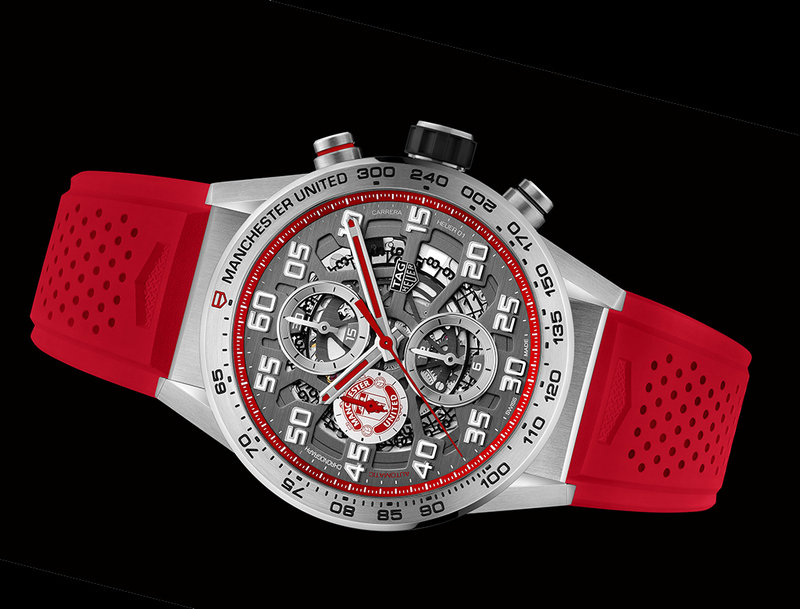 As the Red Devils, as the Manchester United players are affectionately known as, prepare for the upcoming English Premier League, TAG Heuer unveils two new special editions. These two new models, with their contemporary design and contrasting use of red and anthracite grey, could be sported by players from the start of the forthcoming 2018/2019 season. To celebrate the start of its third season as the club’s partner, the first model released by TAG Heuer will be the TAG Heuer Carrera Heuer 01. This special edition features the club’s colours. With a large yet streamlined diameter of 43 mm, this sporty piece has a distinctly modern, contemporary design. 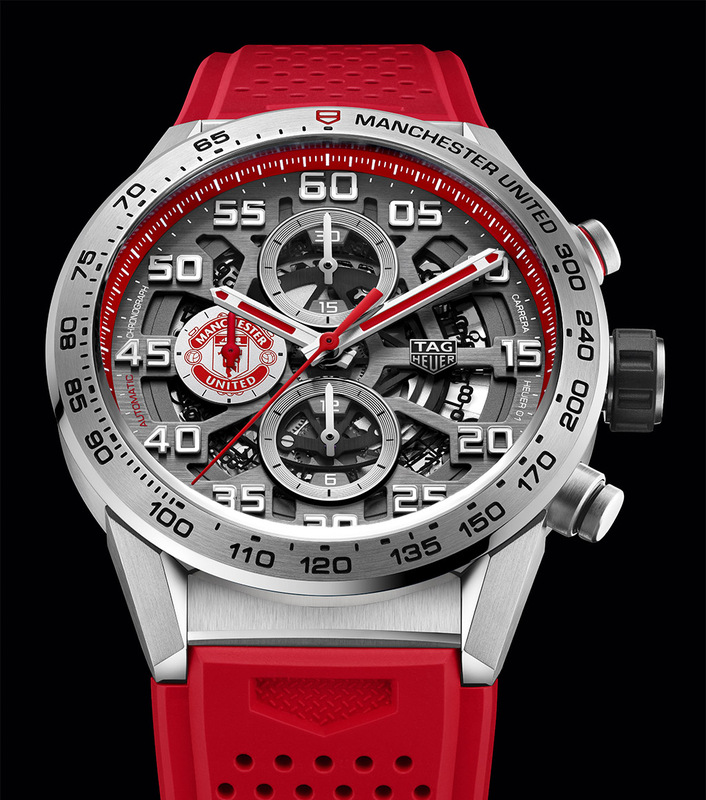 The striking red of Manchester United takes centre stage, featuring on the club’s logo positioned at 9 o’clock, the flange with 60-second scale, and the TAG Heuer shield on the bezel at 12 o’clock; the hour, minute and chronograph central seconds hands and, finally, the rubber strap, all also sport the club’s iconic signature colour. 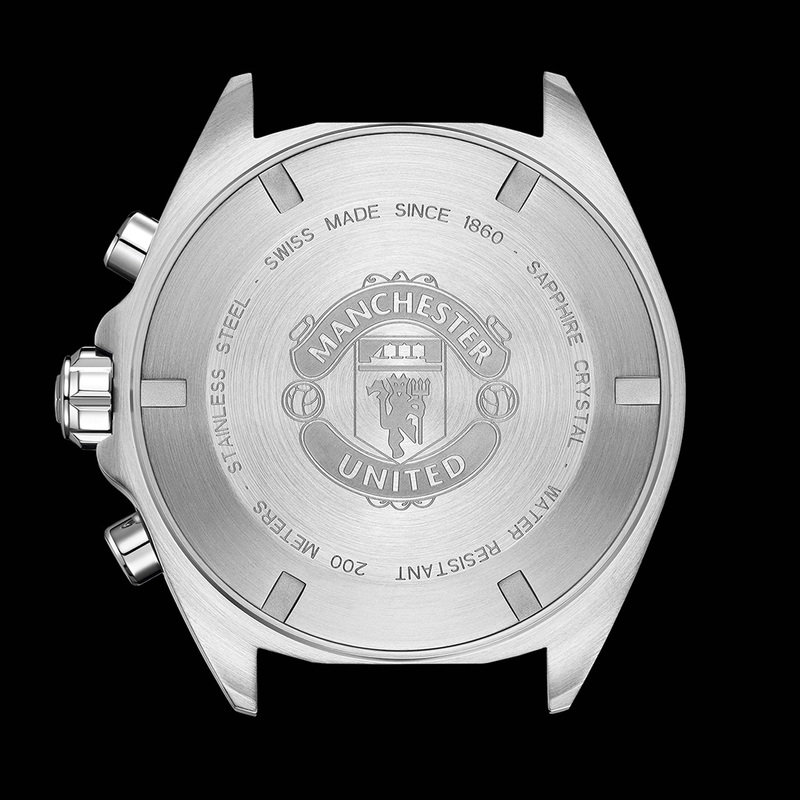 The sapphire case-back highlights the famous Manchester United red devil decal logo. Its anthracite skeleton dial, set within a sporty red flange, allows the beautiful mechanism of the Heuer-01 Manufacture Chronograph to be admired. 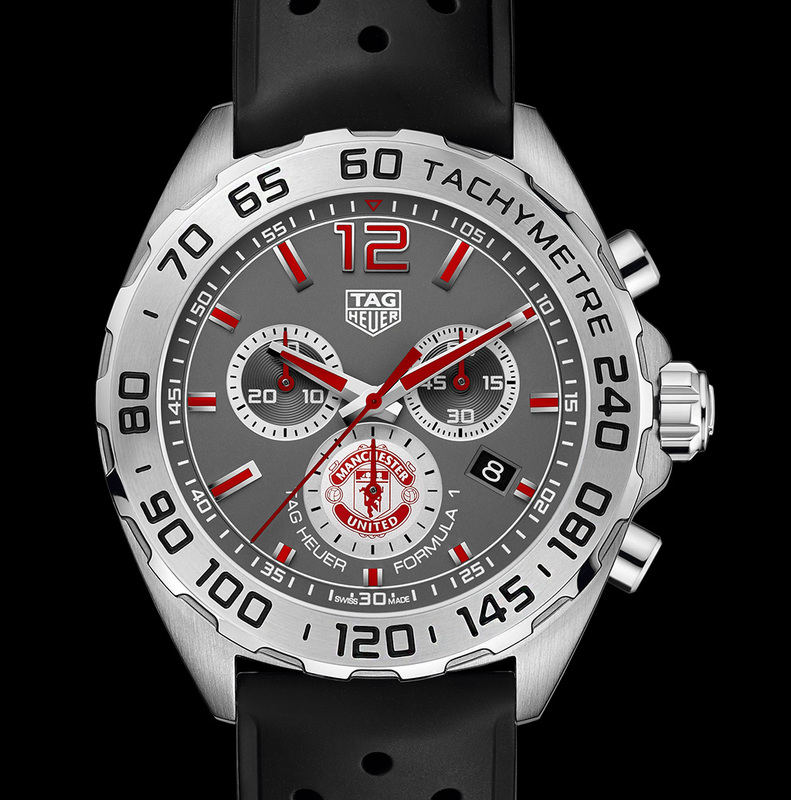 The second model is a TAG Heuer Formula 1 chronograph. Made entirely from steel, this football-inspired quartz chronograph features a notched steel bezel with a tachymeter scale. Domed sapphire crystal with anti-reflective coating on both sides.